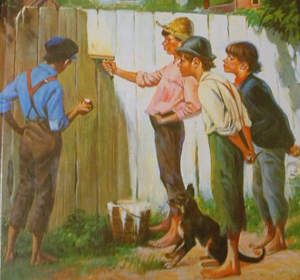 The premise of Dave’s discussion stemmed from the story of Tom Sawyer convincing his friends to actually pay HIM for the privilege of painting a fence…a task that Tom was going to have to do one way or the other. He effectively got them interested, and actually yearning, to take on the work in his place through some questionable persuasion. Using this as an example of what we now call crowd-sourcing, Dave launched into an interactive presentation that outlined a few examples of his own crowd-sourcing experiences, and some good rules to live by when trying to draw others in to work with you. True North Media House, a media collaboration campaign that encourages social coverage of major events, highlighting emerging media and providing a venue for discussing the increasing use of social media in society. His description of the collective’s coverage of the 2010 Winter Olympics in Vancouver Canada and the amount of attention garnered by individuals about non-mainstream news was amazing. Phones for Fearless, a project that encouraged people to donate their old unwanted smartphones and cameras so that others in a less fortunate neighborhood of Vancouver could document, share, and report on stories through video, pictures, etc. Hoot-suite’s unique way to encourage translation efforts that helps spread their platform globally without the need to spend much time or money managing the process themselves. True to form, Dave constantly engaged with the audience during the presentation, taking in comments, asking questions and getting people to participate in building on the discussion. 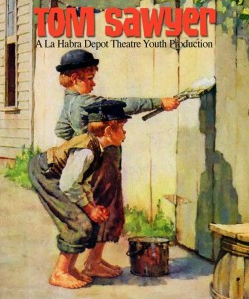 Dave focused on how, unlike Tom Sawyer, who to a greater degree took advantage of his “friends”, one of the most important aspects of true crowd-sourcing should be the focus on inspiring participants. We’ve mentioned in other posts that audiences are already the ones that really “own” the brand, so if you’re ready to take the plunge into true crowd-sourcing, it’s doubly important to respect the group that you are trusting to be your advocates. When Star Group has run programs that involve crowd-sourced support, we’ve followed a number of the rules that Dave Olson touted in his session: Thank people, make it fun for them, give them an incentive (not monetary), make it easy for them to participate. 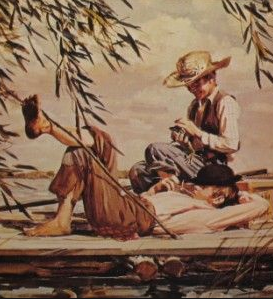 Tom Sawyer had it close…But it’s not just about just getting people to paint your fence, it’s about admiring the work you did together.